Region Tournament in Warner Robbins, Georgia, August 3rd - August 8th. There are 5 Little League programs in our District: Cave Spring American, Cave Spring National, Clifton Forge, District 12 Challengers, and Franklin County Challengers. If you live within District 12 (click on Virginia map above) and would like to become a part of the largest and most respected youth sports program in the world, contact District Administrator, Fred Corbett at: fred_corbett@prodigy.net or send mail to P.O. Box 20993 Roanoke, VA 24018. 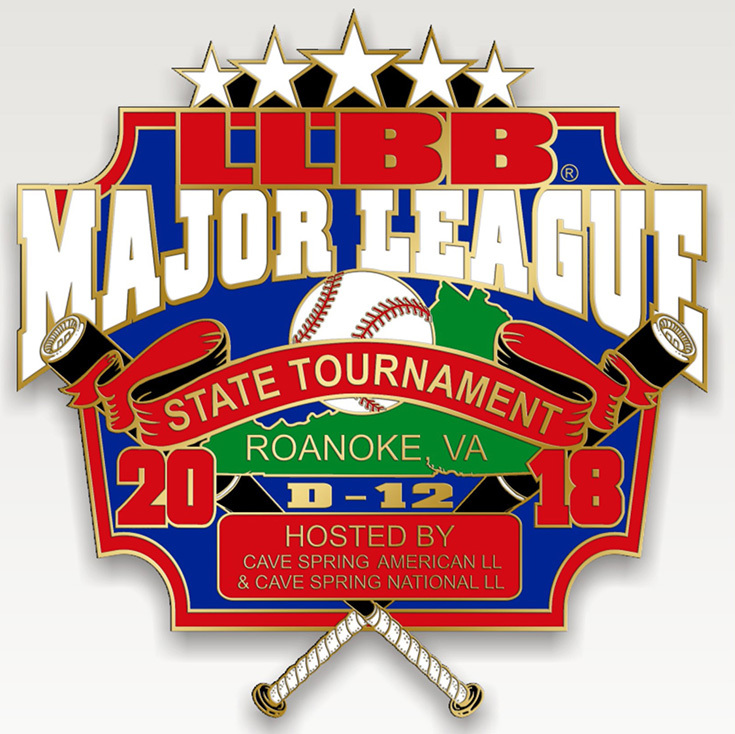 Virginia District 12 Little League, Inc.'s purpose is to support and promote Little League International's programs and leagues within it's assigned counties in Virginia. Virginia District 12 is registered with the Internal Revenue Service as a 501(c)3 non-profit organization. VA District 12 does require funding to support the Chartered Leagues and those Leagues financially support District 12. However, individuals and businesses are encouraged to make contributions to VA District 12 Little League, Inc. to support the programs. Contributions are tax-deductible. Thanks for your support! CLICK THE TAB ON THE LEFT LABELED "Schedules" for team schedules or - CLICK THE TAB ON THE LEFT "Events" for a calendar for all games. "Youth Baseball is a very good thing because it keeps the parents off the streets."